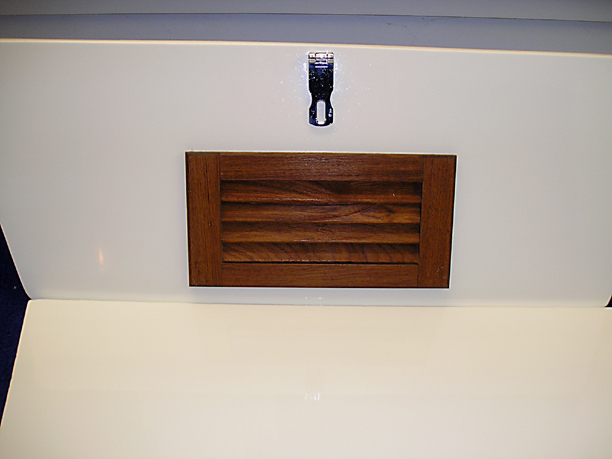 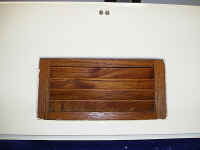 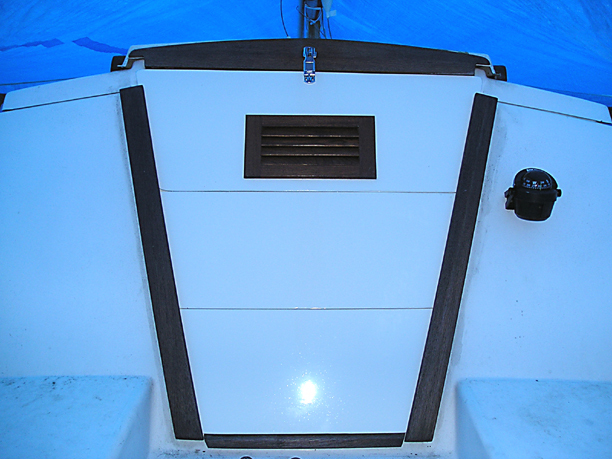 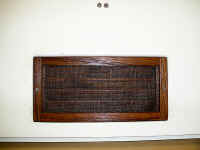 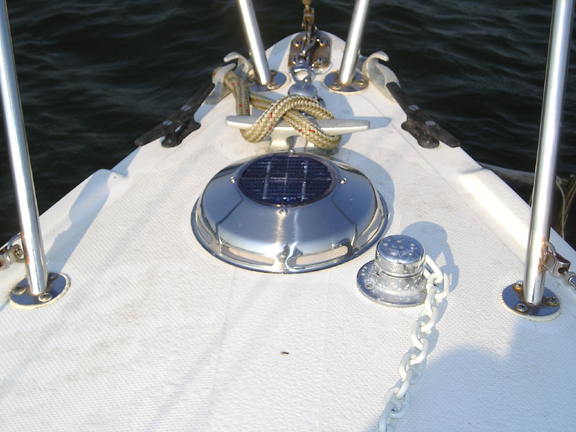 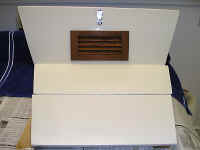 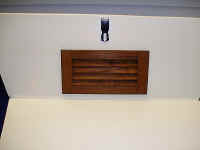 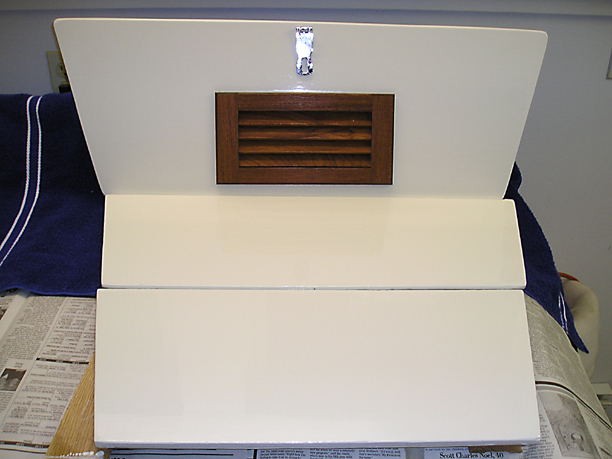 I recently added a teak louver to the top cribboard for better ventilation flow below deck. 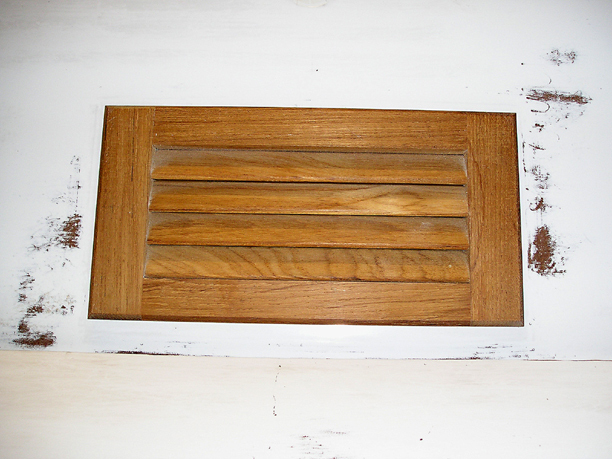 Last year I had a serious problem with mildew and mold. 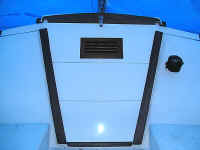 At that time I added a Nicro Day & Night 2000 solar-powered ventilator, but still the cabin needs better air circulation. 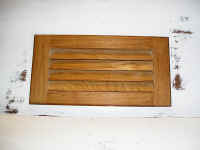 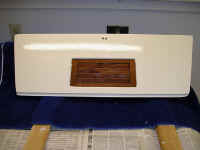 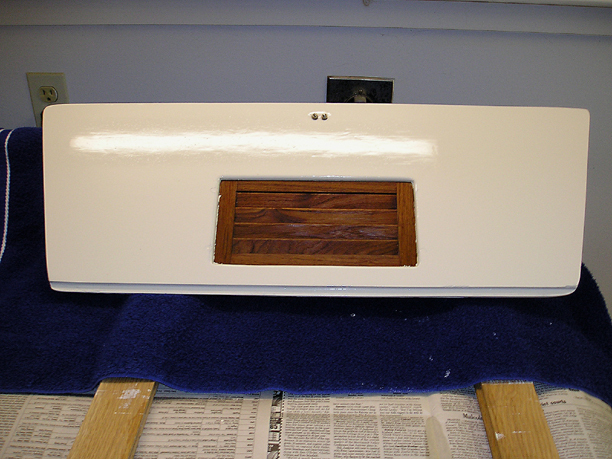 After the paint's thoroughly dry, I'll oil the new teak louver. 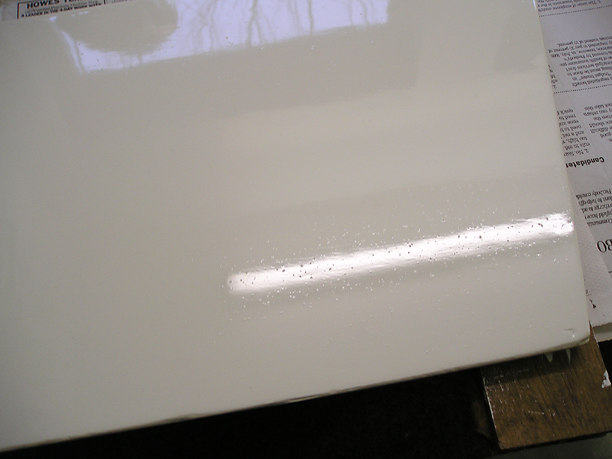 Still surface particles after three coats, damn. 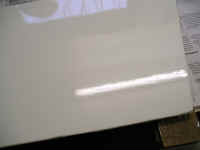 "Good enough," the perfectionist in me agreed. 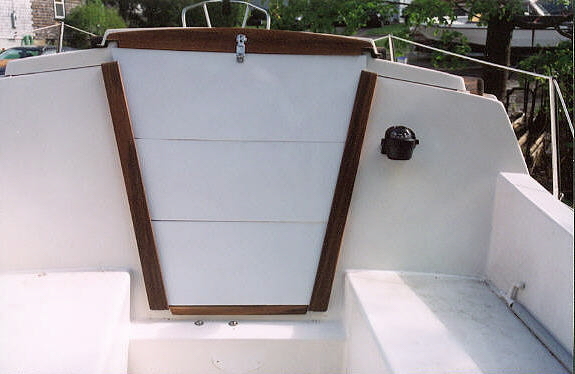 My winning practical side argued that one day-sail later, they'll begin getting scuffed up anyway. 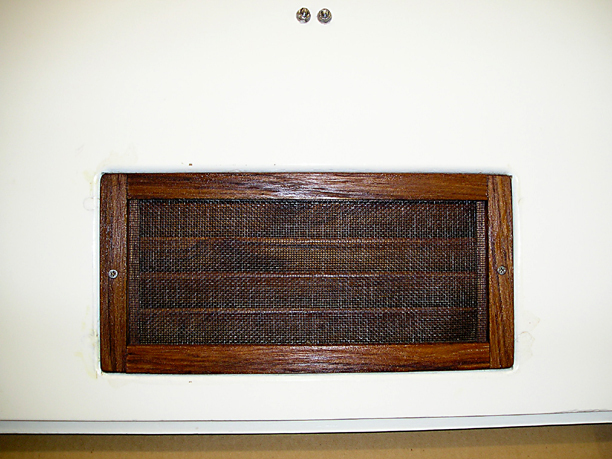 I'll next make a thin teak frame to insert into the backside and sandwich a piece of nylon screen between the louver and the frame. 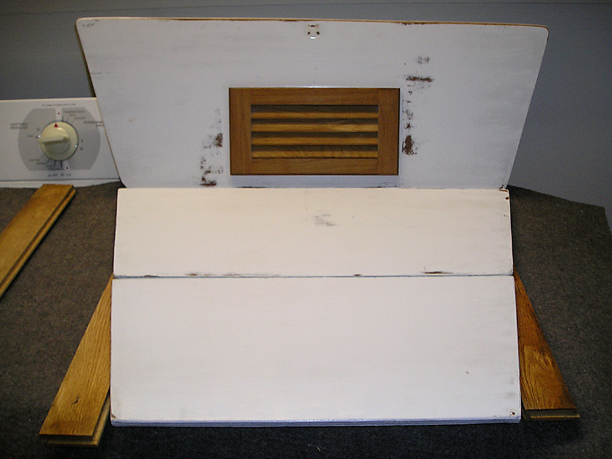 The finished louver backside with new screen and frame installed. 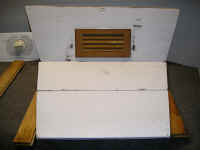 A closer view of the front (exterior) side.